ISKCON Pretoria a spiritual embassy in the land of material embassies , is dedicated to preaching the message of Sri Caitanya Mahaprabhu, His pure devotee, Srila Prabhupada and their followers. Located near the heart of Pretoria, the center facilitates many University students from the University of Pretoria , Tshwane University of Technology and the University of South Africa with a sanctum from their stressful studies of which many of these graduates now manage and offer their services to the temple in many ways. After the daily morning programs the resident devotees go out distributing Srila Prabhupada’s books on India’s ancient Vedic wisdom and performing other preaching activities. Melodious bhajans (devotional songs) take place every evening and there is a strong focus on spiritual development. 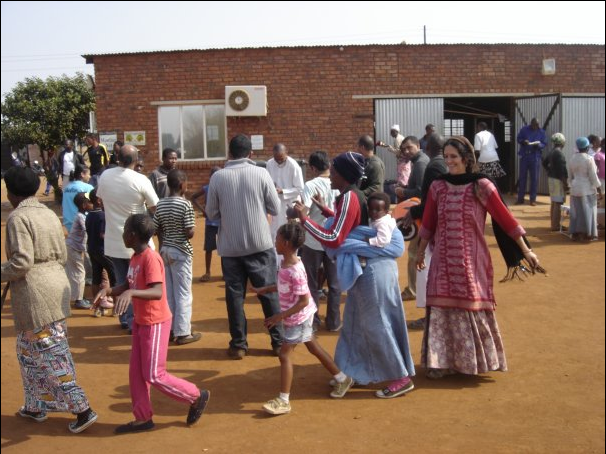 ISKCON Pretoria has developed innovative social outreach programs which are proving to be very successful. They have also engaged with the City of Tshwane to partner in providing the much needed structured social development programs and events that promote non-sectarianism and an appreciation for life and its meaning. Rural programs started in Hammanskraal and have been extended to Temba projects. Hammanskraal is having Sunday namahatta (gatherings for discussion on spiritual topics) programs – the program starts with kirtans (devotional songs glorifying the Supreme Personality of Godhead, Sri Krishna), followed by a class on the Bhagavad-Gita as it is, followed by more ecstatic kirtan and then prasadam (foodstuffs first offered to Krishna before being consumed). Temba is a new project and is still in its infancy: Kirtan is held in the park and is then followed by a discourse from Bhagavad-Gita. Many people come to participate in these programs. The focus of the center revolves around presenting a universal acceptance of the world and its inhabitants in a communal spirit of sharing their spiritual commonality. 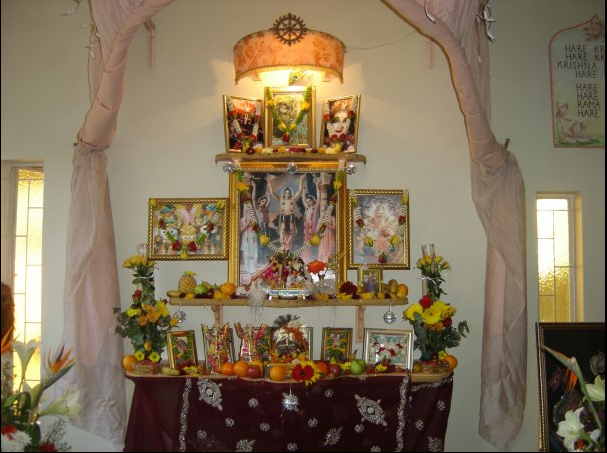 ISKCON Pretoria abides by the outlook of spiritually educating in order to prevent material degradation. Come on over, and be part of the change for good.